CFMOTO Canada is set to unveil the new 2017 CFMOTO ZFORCE 1000 and showcase their FORCE line-up at the 29th Annual Toronto International Snowmobile, ATV & Powersports Show (TISAPS), October.21-23, 2016 at the Toronto International Center. Located in Hall 1, CFMOTO Canada will feature their outstanding line-up of CFORCE, ZFORCE AND UFORCE ATVs, Side-by-Sides vehicles and is also proudly presenting its new corporate relationship with LUCAS OIL. LUCAS OIL is now the Official Oil and Fuel Treatments for all CFMOTO Canada products. The new CFMOTO ZFORCE 1000 features a top class power to weight ratio. It comes standard with a Canadian Made full CVTECH DRY CLUTCH SYSTEM, which effectively delivers power and acceleration. The new engine crankcase and oil cooler design reduces weight and delivers excellent cooling capabilities. Cabin comfort and looks are enhanced with the color matched combinations included embossed and embroidered seating and alloy wheels. As per the CFMOTO hallmark, the 2017 ZFORCE 1000 boasts a long list of market leading standard accessories, performance and safety features at an attractive and affordable price. 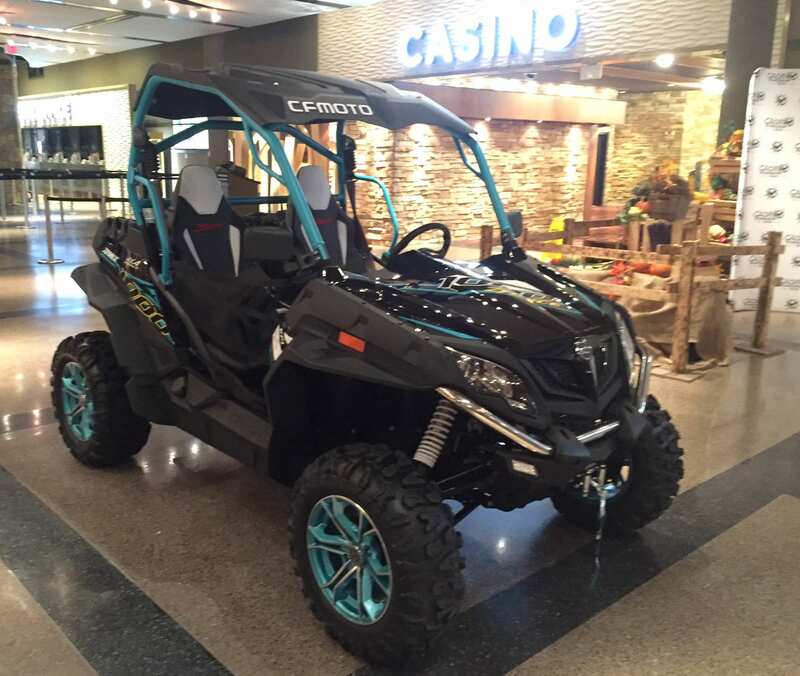 Founded in 1989, CFMOTO designs and manufactures innovative Power Sports Vehicles. CFMOTO is a world leader in liquid cooled engine production for quads and motorcycles. Distributed in over 70 countries, CFMOTO has an annual production capacity of 800,000 engines and 600,000 vehicles. In Canada, CFMOTO products are distributed by CMI/CFMOTO Canada through a network of quality authorized CFMOTO Dealerships. We are passionate people who constantly strive to provide the best.